Hooray for you Spring has sprung at last. Have a fabulous Friday. Well, at least there are a few tiny hints of what's to come! Beautiful pics with your intrepid spring hunter! We're looking for Spring too. We think it may have taken a wrong turn. Happy first day of Spring (even if it does still look like Winter)! Hope your spring hurries up and gets there! My dear Nutkin, I can't believes you have your own chicken coop, that is so cool! 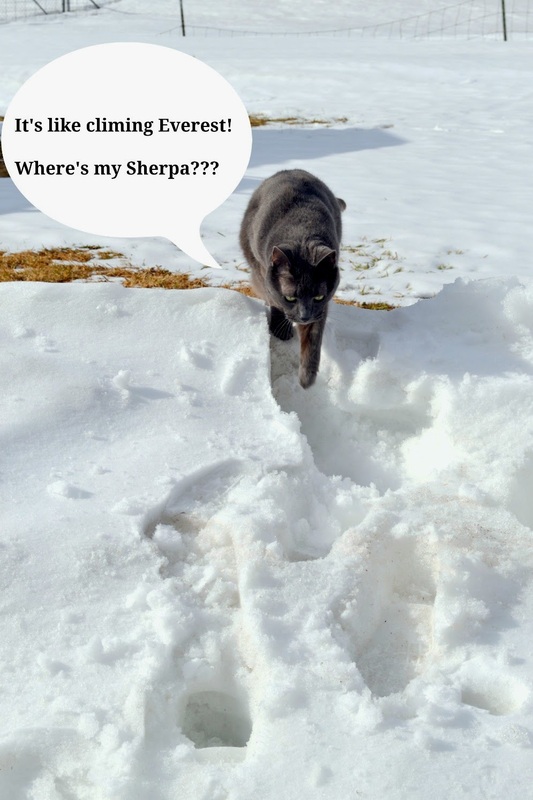 Glad you didn't step on Spring with the crazy winter you has been having! Have a great Caturday! Hope springs eternal! Spring's coming, you can't stop it! And yeah, we're sick of "weather" and that white crap too! Wow... thanks for pointing Spring out with that helpful arrow... otherwise we think we might have missed it! Looks like warmer days will by dropping by soon with lots of lovely blossoms and new growth in celebration! Purrs from the Zee and Zoey Gang! It's coming back! Spring! Yay! sit tight, rumor has it we are all gonna be in the 50s late next week and 60s after that! spring is right here.. ha ha ha ha.. that is a good one! 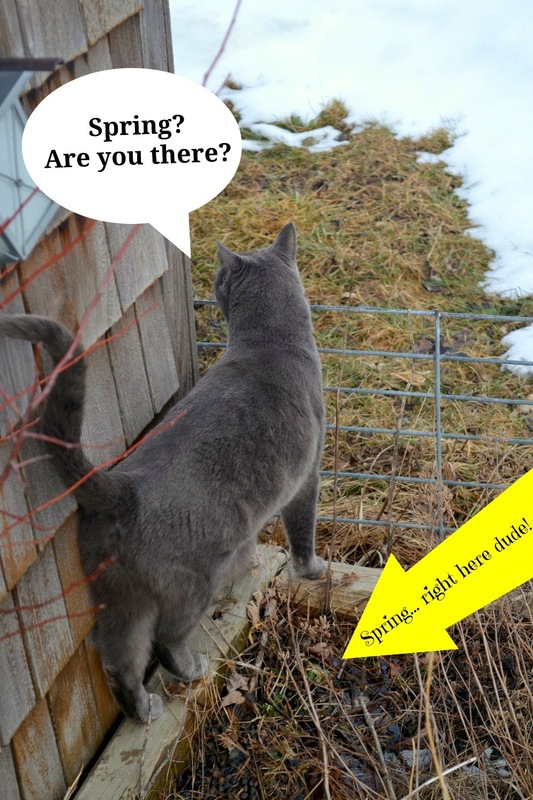 You found spring! Thank goodness.